Will Tiger Woods win a major this year? The short answer is yes, with the usual qualifier that he must stay healthy. Three of the 2019 majors are being played on courses where Tiger has won before: Augusta National, Bethpage Black and Pebble Beach. A very young Tiger crushed his opponents by 15 strokes in the Open at Pebble in 2000 and two years later dusted Phil Mickelson and a very fidgety Sergio Garcia at Bethpage State Park. While those are nice memories, this isn’t the same Tiger. We think that if Tiger is going to win another major, it will be at Augusta National in April. With four green jackets in his locker already, he obviously knows the course as well as anybody but more importantly, Augusta National is more forgiving than the others when it comes to Tiger’s only real weakness: a somewhat wayward driver. There’s a reason that Masters winners often repeat, and this looks to be the year that Tiger resumes the chase to catch Jack Nicklaus. What impact will the new rules have? If the experience on the PGA Tour so far is any indication, the new rules are confusing to some and completely alien to others. One of the really frustrating things to see on a golf telecast is a player calling in a rules official for what many would see as a routine situation. The players defend the practice by saying that when there’s a million dollars at stake, they just want to be sure. Based on what we’ve seen so far, it may actually be that they don’t know the rules and especially don’t know the new version. Dropping the ball from knee height seems to be the hardest for them to understand, so it’s a good thing they call in an official who can remind them and save them a two-stroke penalty. Phil Mickelson had a penalty drop this past weekend and you’d swear Phil wasn’t even aware there were new rules. For most of us, the new rules should speed up play but the jury’s still out on the new flagstick rule. In Orlando for the PGA Merchandise Show, we’ve already played a round where some players kept the flagstick in while putting. It didn’t help and even though it’s perfectly legal, it still looks like cheatin’. Will a Canadian win this year on the LPGA or PGA Tour? If so which one? This question popped up as recently as last Friday when Brooke Henderson had the second-round lead at the LPGA Champions event and a day before Adam Hadwin put himself in final round contention at the Desert Classic. It would have been nice to say we called it because those two have been our picks to win on their respective Tours for some time now. Unfortunately, Henderson wasn’t feeling well for her final round and Hadwin just ran into a buzz by the name of Adam Long. We still think Hadwin and Henderson are the Canadians with the best chance to win in 2019, but we'll add Corey Conners to the mix too. The Listowel, Ontario golfer has three top 10’s already this season and has gained some valuable experience, like playing in a final group with Tiger. We’re predicting four Canadian wins this year and think Henderson will nab the first one. Is betting going to be part of our golf viewing? After Tiger and Phil put us to sleep at Shadow Creek in November, you might think the PGA Tour would forget all about betting on golf. Not even close. According to our sources, it’s all-hands-on-deck to figure out how to make this work. The Tour wants this for two reasons: huge increases in revenue; and a way to reach a younger, tech-savvy crowd that will be drawn to golf by the online action. One of the biggest hurdles they have to get over is the fact that golf is often broadcast on a tape delayed basis. If people can know the result before they see the action on TV, that all but eliminates the kind of prop bets Tiger and Phil were making about hitting fairways and closest to the pin. There’s too much money at stake for the Tour not to figure this out but it will likely start with a few "safe" bets, before they try anything too adventurous. Did we mention that we have Tiger to win the Masters? Which player will be the biggest surprise or disappointment? In 2018, the biggest surprise was a toss up between Bryson DeChambeau, a rejuvenated Tiger Woods and a command performance by Francesco Molinari. By nature of the category, none can repeat in 2019. Our picks for the four majors are all previous major winners, although we did get a few votes for Tommy Fleetwood and Xander Schauffele. If either player were to win a major or rattle off a string of titles, it would be amazing but not necessarily surprising. Anybody on the PGA Tour is capable of winning just about any week but real surprises to us are Charles Howell winning after 11 years or Matt Kuchar nabbing a title after another long layoff. They’re the kind of victory that make you sit up and say, "where did that come from?" 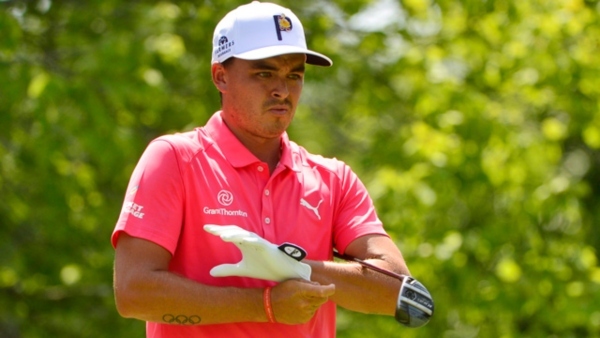 We like Rickie Fowler to surprise us this year. It’s not that Rickie has been out of the spotlight; it’s more that he often seems to get close but never closes the deal. He only has four wins in a career that should have garnered more. As for disappointments, Rory McIlroy seems destined to disappoint again. With talent like his, he should win any time he tees it up. But Rory always finds a way to mess it up. We’d like it to be otherwise but just don’t see it happening. Those are our top questions so far in 2019. Let us know if you agree; or have different questions or different answers.